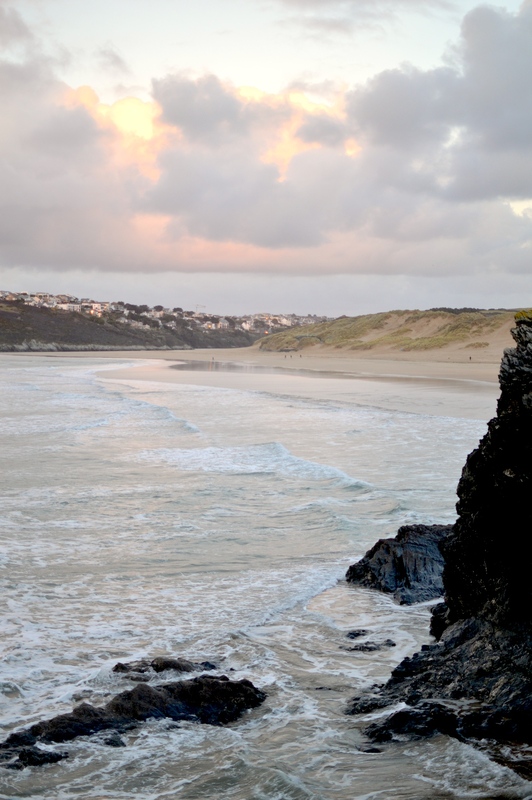 Crantock Beach, where my parents have a flat, sits right on the Atlantic Ocean, nearly at the very end of the country. It's a breathtaking spot to take in the open ocean, and it's so windy that the weather can change in an instant. I took these photos with my DSLR when we went down the other weekend. The amazing thing about this beach is that the tides differ over an hour every day! 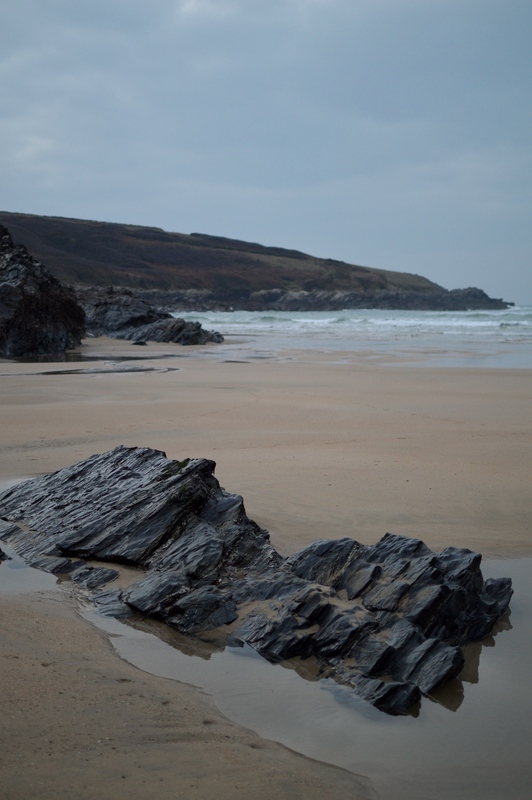 I took these photos at roughly the same time on both days, around 6pm, and while on the first day we could make it down onto the sand, the sky was grey and there wasn't anything spectacular to see, though the glassy rock pools are captivating whatever the weather. On the second night, there was the most gorgeous peachy sunset, but the tide was in so high we would have had to walk round the long way to get down to the beach. 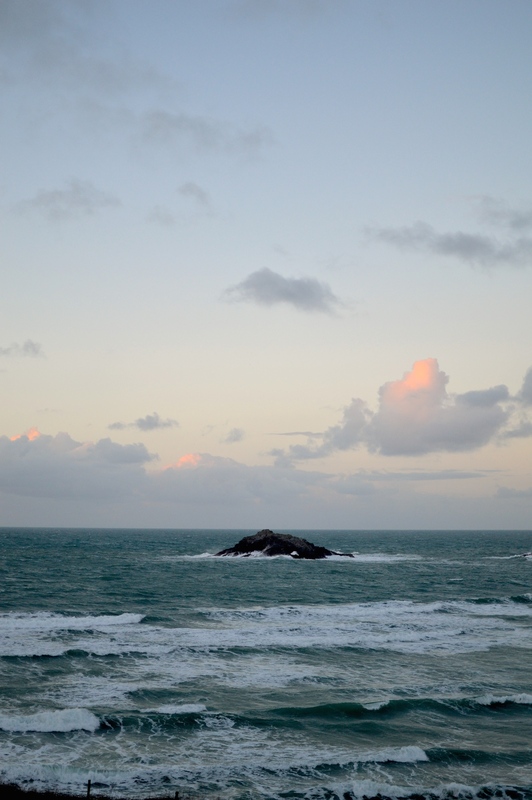 Annoyingly, the first day had both soft pink skies and low tide at 6pm, but I forgot to take my camera! Thanks Freya! I didn't really have to do anything!